The beauty industry is no stranger to the ASA (Advertising Standards Authority) banning adverts because of misleading communication, but I was surprised by the reason for a recent Boots Little Me Organics advert being banned. Following a single complaint that said “claims that the product was ‘organic’ were misleading because they implied it met an independent organic standard,” the ASA upheld the complaint and has said it mustn’t appear again in its current form. 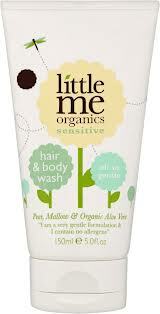 However, rather than the judgement being based on something that was said within the advert, the ASA took issue with the actual brand name ‘Little Me Organics’ misleading the consumer into thinking the products either met a defined organic standard, or used a high proportion of organic ingredients (when in fact, the product had less than 5% organic ingredients). Rather than this directly being related to text used within an advert as is the usual realm of the ASA, this delves into the much murkier waters of organic labelling and the fact that there is no legal definition of what constitutes a beauty product to be organic. As it stands currently, beauty products are allowed to be called organic if there is any organic ingredient within the product – so although consumers think they are buying an organic product, it could actually contain just 1% of organic ingredients. But while there is currently no legal criteria for calling a product ‘organic’ - something the natural beauty sector has long taken issue with, it seems that brands who use the word ‘organic’ on an advert – even if it is just within the product name, now risk being punished by the ASA instead. With organic certification being so costly to brands and often confusing to consumers (because different organic certifications have different standards), surely it would be a lot easier for everyone involved if the law was just changed to set a certain legal criteria for organic beauty labelling? After all, for foods to be labelled as organic, under EU regulations at least 95% of the ingredients must come from organically produced plants and animals, so why can’t the same be done for the beauty industry? That's very kind of you, thank you! I just came onto your post and found it quite interesting. I am also associated with organic beauty products, modern organic products, natural and organic products and love to enjoy the stuff on the same as its rarely found on internet. Thanks again for writing such a good post.